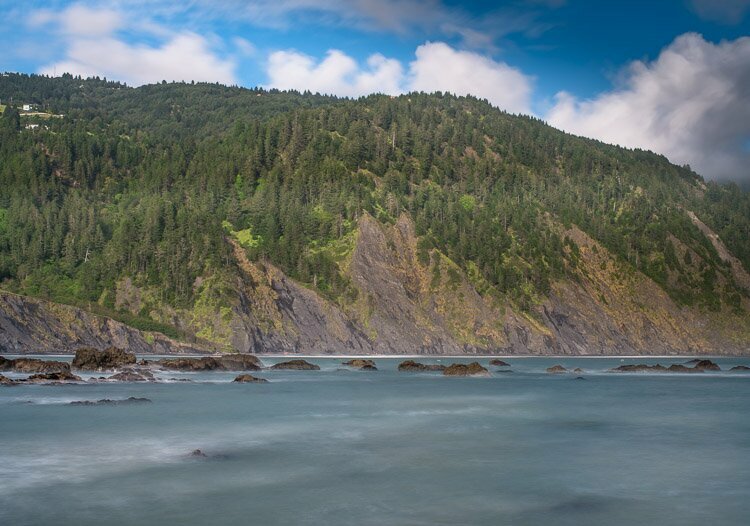 The Lost Coast is a section of the California coast that is largely undeveloped and unpopulated. It contains a large chunk of the King Range Mountains, which constitute the highest mountains adjacent to the ocean in the lower 48, with highest peak measuring a little over 4,000 feet. This area routinely receives over 100 inches of rain a year.